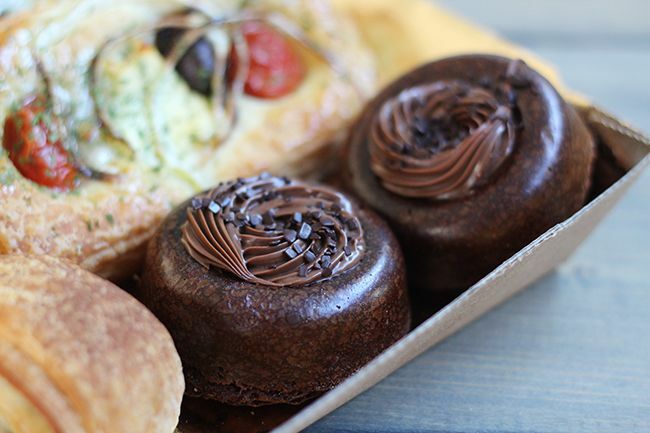 Just beyond the Yellowhead Highway, off 127 Street by the CN railway tracks, lives a true hidden gem in Edmonton - an unassuming bake shop selling decadent Italian pastries. Canova Pasticceria (formerly De Fazio Gourmet) is the child to Carla Roppo and Kris Owczarek, husband and wife and business partners. Despite having no formal baking training the duo took a risk and acquired De Fazio Gourmet in 2012, learning to bake and sell gourmet biscotti to local shops and cafes. But biscotti wasn't enough. After a trip to Italy to learn about Italian pastries, Carla and Kris now make some of the most beautiful pastries in their pasticceria, using methods rooted in old-world Italian baking traditions. This means using meticulous processes to make all their goods from scratch, including their holiday panettone, which takes 36 hours to make from start to finish. There's no shortcuts here, only the highest quality wholesome ingredients like 83% New Zealand butter and pure vanilla. 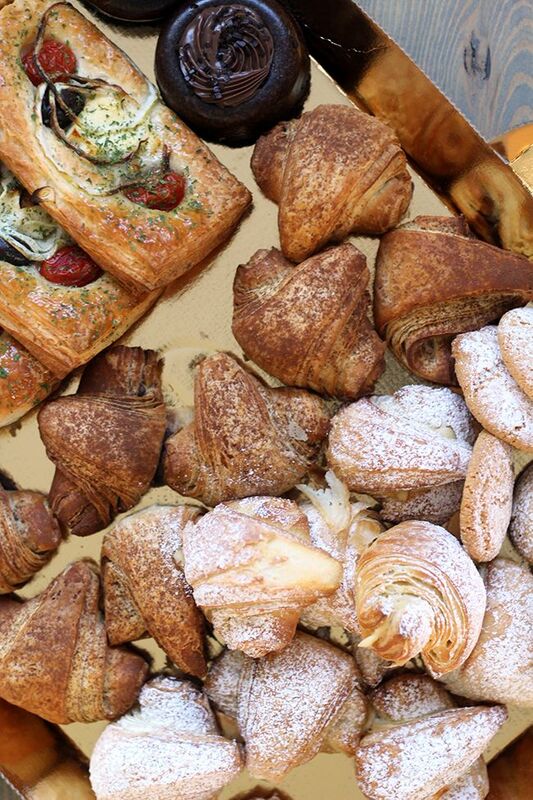 After discovering the pasticceria, I was in luck as Canova reached out and offered to send me a sampling of their pastries that were sure to impress. The beautifully designed brown packaging accented with gold was enough to draw me in, but what was waiting inside was even more impressive. 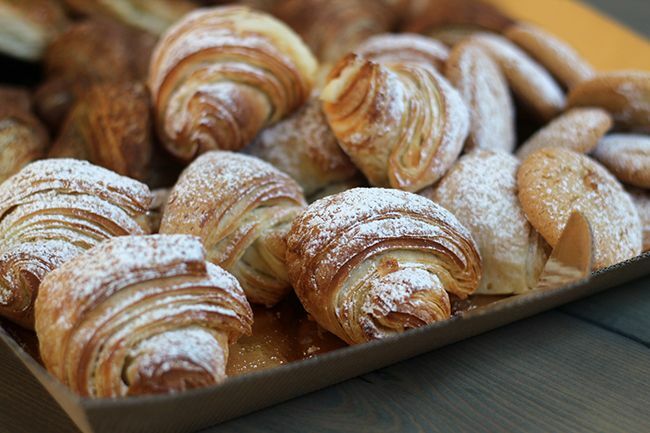 A beautiful spread of vanilla and nutella cornetti, amaretti, nutella brownies, and savoury danishes were nestled together, almost too pretty to eat! Gathering friends for a dinner party was the perfect way to showcase these treats, and everyone raved about them. The gluten-free amaretti were lightly sweet and soft with a chew, while the brownies were dense and rich with added decadence from the nutella. Of all the treats in the box, the vanilla cornetti won me over. Flaky layers of croissant-like pastry gave way to a luscious vanilla pastry cream with every bite, making it a star in my books. The nutella cornetti were also fantastic, but I found myself partial to the vanilla version as nutella can be a bit heavy. Carla and Kris continue to produce their gourmet biscotti under the De Fazio brand, and although I've seen these biscotti throughout the city I never realized that they were locally made. 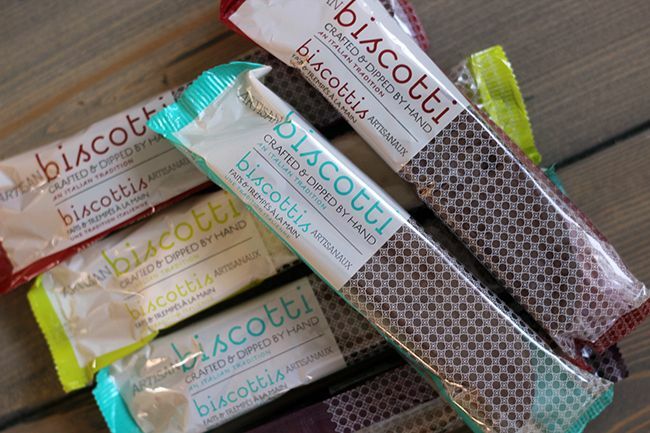 The biscotti come in a wide variety of flavours and are delicious dipped into a cup of hot coffee. If you stop into the Pasticceria you can actually grab a cup of Caffe Umbria coffee to pair with biscotti or pastries as a little pick-me-up! Panettone (literally translated to 'big bread' in Italian) is a traditional holiday sweet bread made with candied oranges, raisins, and citrus zest. Using the process they learned in Milan, Carla and Kris were determined to produce their panettone using old world methods with a sweet dough starter. This is no easy feat, as the dough requires multiple feedings, additions, and time to rise. It takes 36 hours to produce a batch of Panettone, and the results show that the time commitment is well worth it. 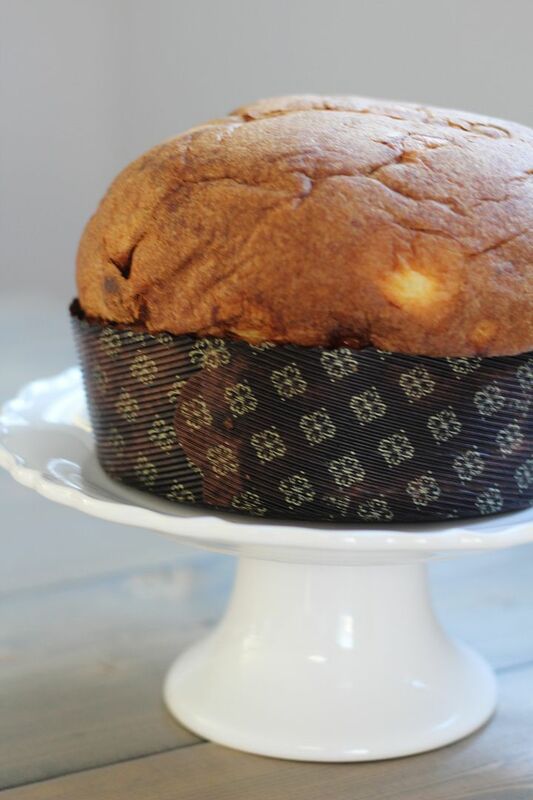 Canova's Panettone stands tall and packed full of raisins and candied citrus. The bubbling through the bread makes it light and fluffy, and it truly is the best I've ever tried. Each panettone is wrapped by hand using beautiful packaging imported from Italy, and it makes for an impressive gift for under $20. This panettone is Canova's pride and joy, and they're ramping up for their busiest holiday season yet. Safeway and Sobeys across the country will be carrying Canova's panettone this year, as well as smaller independent stores like Sunterra and the Italian Centre in Alberta. 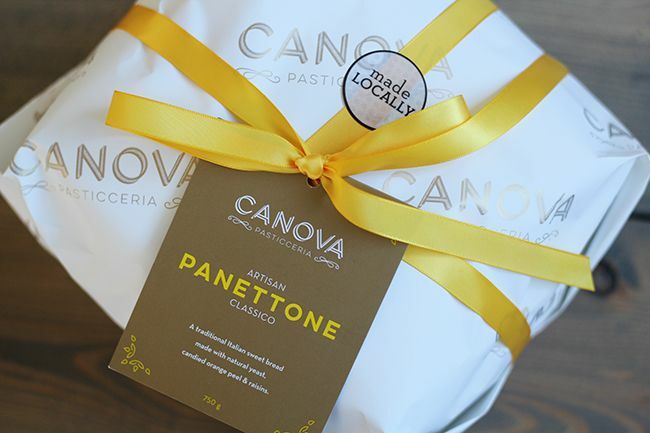 Canova's Panettone is going to be a hot item this Christmas, so you'll want to get your hands on one before they all sell out! Click here to find one near you! 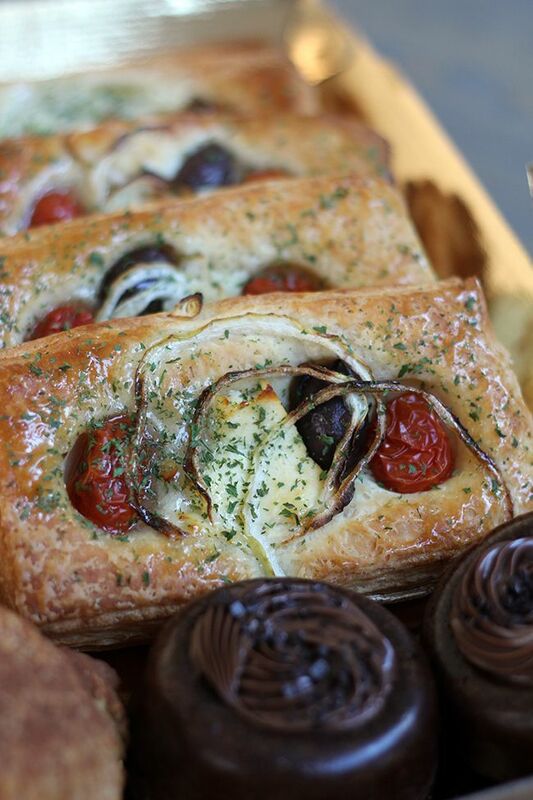 Given that the pastries are delicious and so affordable, it is recommended to call ahead and place an order as the shop does sell out daily. While Canova Pasticceria is classified as a hidden gem in our city, I have a feeling that status will change soon enough. 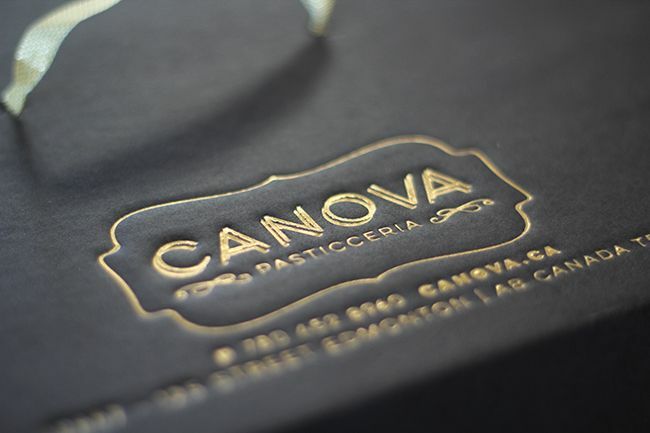 *Disclosure: I was sent pastries and panettone from Canova Pasticceria for potential review on my blog. Views expressed in this post are solely mine. This post is 100% my opinion, and as always, my priority is to you, the reader, to present an unbiased, thorough review. One bite of a fresh, European-style caramel on her honeymoon was all it took for Tammy to bring the sweet treat home to her best friend Alysia to try. After devouring the caramels much too quickly, their search for similar caramels locally yielded no results. The girls took matters into their own hands and decided to make their own. Tammy and Alysia Lok have been best friends for years and recently became sisters, as Tammy married Alysia's brother. Since January of this year Tammy and Alysia have worked tirelessly to perfect their caramel recipe and make their caramel dreams a reality. "Cara Mia" means 'my beloved' in Italian, and this duo's creamy Caramia Caramels are meant to be shared with the ones you love. After indulging in an assortment of their timeless flavours I can certainly say they are the best caramels I've ever had. 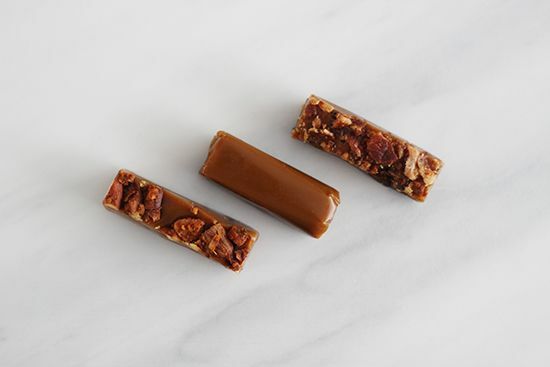 The caramels have a soft bite and instantly melt in your mouth. They're smooth, buttery, and best of all they don't stick to your teeth or the roof of your mouth! 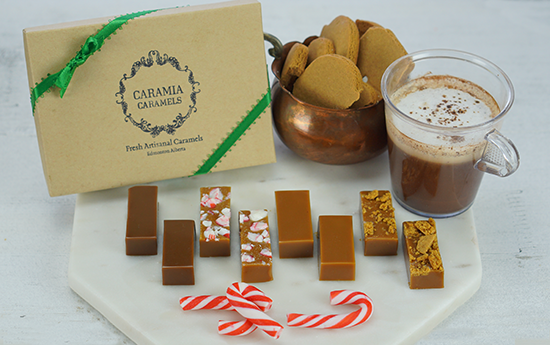 Caramia uses only high quality, natural ingredients in their caramels, and you really can taste the difference. 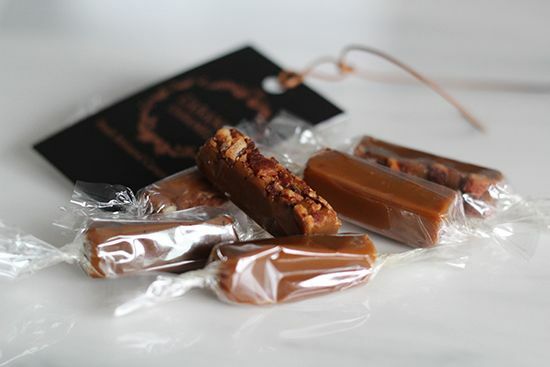 Without artificial flavours or preservatives, the caramels are best eaten within 14 days, but I guarantee they will not last that long once you take a bite. Tammy and Alysia opened their stall at the Edmonton City Market Downtown in May and haven't looked back since. They spend Monday thru Wednesday cooking their caramels one batch at a time on the stovetop, and Thursday and Friday cutting and wrapping each individual caramel by hand for the market on Saturday. Each batch takes four hours from start to finish, yielding about 10-12 bags of product. These girls dedicate an incredible amount of time to their caramels, and both girls have since taken the risk of leaving their full-time jobs to pursue their dream of sharing their caramels with the world. 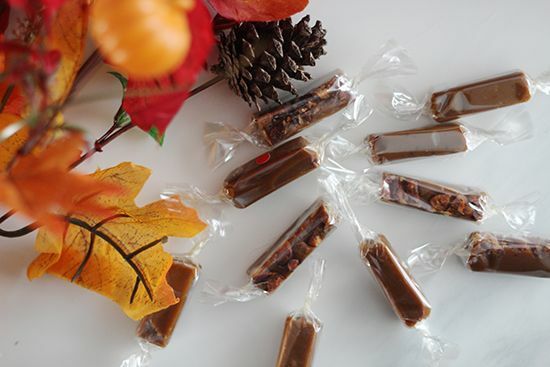 They currently have the resources to make and package caramels for one farmers market, but hope to purchase a candy making machine (Prince Charming Mix-A-Lot) to expand further and offer their product online. Through Kickstarter, Caramia Caramels has exceeded their $13000 goal to raise money for their machine, and hope to reach $28000 in the next three days to release a new collection of tea flavoured caramels with your support. This holiday season you will be able to find Tammy and Alysia at the St. Albert Indoor Christmas Market and the City Market Downtown on Saturdays. 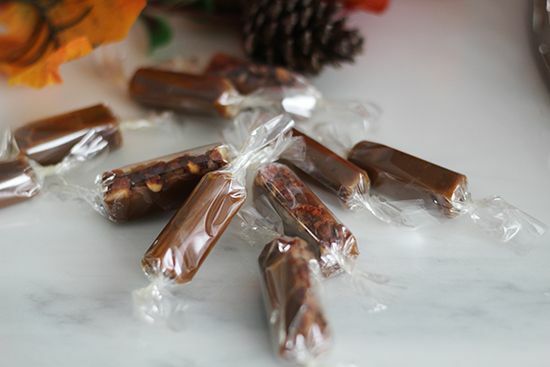 Their caramels are a great treat for anyone on your Christmas list, and their Holiday Collection is sure to please. The Holiday Collection includes hot chocolate, gingerbread, and candy cane flavours, which you don't want to miss. 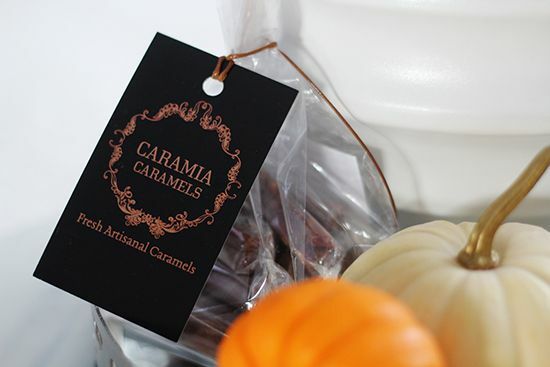 Tammy and Alysia have kindly offered up an 8-piece box of their Holiday Collection caramels to one of my readers to share the Caramia love! Find all the details below. This giveaway is open to anyone 18+ years of age in Edmonton. You have until December 1st to enter and the winner will be selected by random and be contacted via email. Good luck! *Disclosure: I was sent a bag of Caramia Caramels to try for potential review on my blog. Views expressed in this post are solely mine. This post is 100% my opinion, and as always, my priority is to you, the reader, to present an unbiased, thorough review. When people ask me about Christmas in November, it's an experience that is truly difficult to describe. Magical, festive, and indulgent are some adjectives that come to mind to describe this caliber of an event, but I don't think I ever really do it justice. To be able to feel the holiday spirit and all it encompasses an entire month before Christmas is what Christmas in November is all about. I could spend an eternity trying to explain what Christmas in November is like, but I'll spare you. Instead, I'll give you five reasons (not that you need that many!) 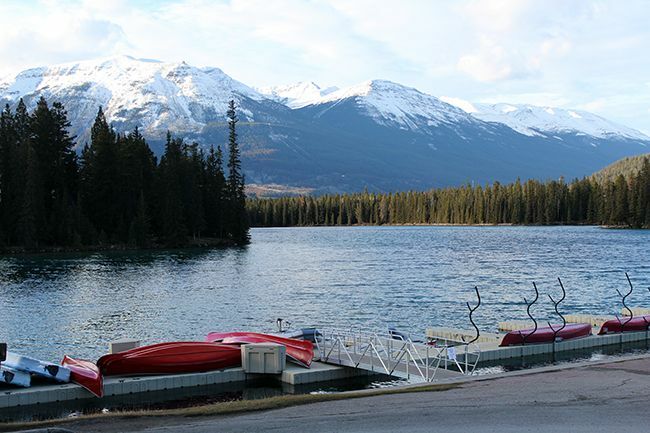 to make the trip to the Fairmont Jasper Park Lodge next November to experience it for yourself first hand. From the moment you step foot onto the Fairmont property, you are overcome with Christmas spirit and can't help but spread the holiday cheer. 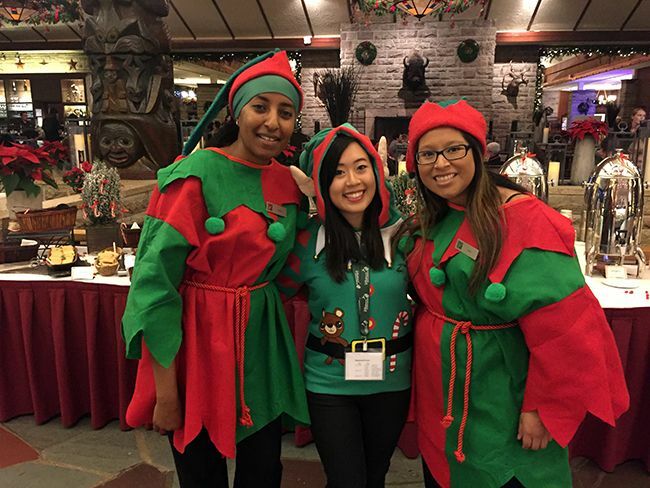 Sleigh bells ring as you're welcomed to the Jasper Park Lodge, and elves in the lobby are eager to spoil you with Christmas cookies, treats, and mulled wine. A life-sized gingerbread house brings joy and fills the air with the familiar scents of holiday baking. The lodge is a truly magical place decorated to reflect the joy of the season, and every moment you're reminded of the wonderful holiday season. The Jasper Park Lodge has been home to Christmas in November for 28 years. Located next to the beautiful Lake Beauvert and the snow-capped Rocky Mountains, attending Christmas in November is a chance to get away from the hustle and bustle of the city. While you may feel compelled to go to as many sessions as possible, it's also important to take the time to relax and enjoy yourself. Go for a swim in the heated outdoor pool, or spend some quiet time in the Eucalyptus Steam Room. 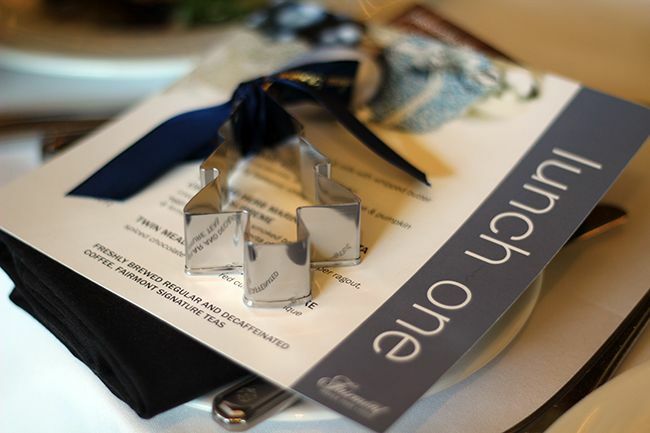 From the moment you arrive to the moment you leave, the hospitality at the Fairmont Jasper Park Lodge is unparalleled. Staff are friendly, knowledgeable, and go above and beyond to ensure you have a wonderful stay during Christmas in November. From shuttle service around the property to meal service and turn down service at the end of the evening, you are well taken care of. 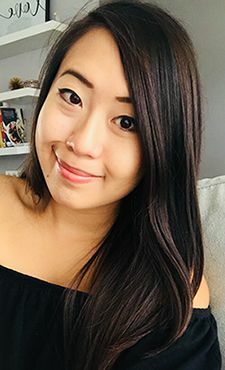 You will see the same faces often, so it's hard not to make friendly conversation with some of the staff - many of them have amazing stories to share! And I love finding the surprises the staff leave for us in our cabin. Food Network chefs. Need I say more? One of the best things about Christmas in November is the exciting presenters they bring each year. A lot of celebrity chefs have attended in the past and it's a pretty surreal experience to sit in their sessions and hear them speak about their passion for food and cooking. 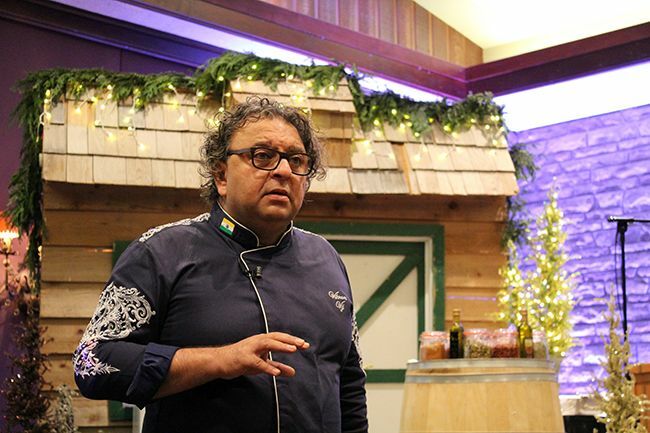 This year's Christmas in November featured the well-loved Chef Vikram Vij, and his session was an absolute blast. Christmas in November gives you the chance to meet and mingle with the chefs and get to know them on a personal level - they are so open to interacting with attendees! I would be lying if I said the food wasn't my top reason for attending Christmas in November. Christmas in November is a time to indulge, and calories don't count! Your stay is kicked off with the Silly Christmas Sweater Reception, which features a buffet like no other. Each subsequent day starts with a breakfast buffet, followed by a three-course lunch and four-course dinner. On top of it all, you'll be cooking and eating along with your favourite presenters at your sessions throughout the day. 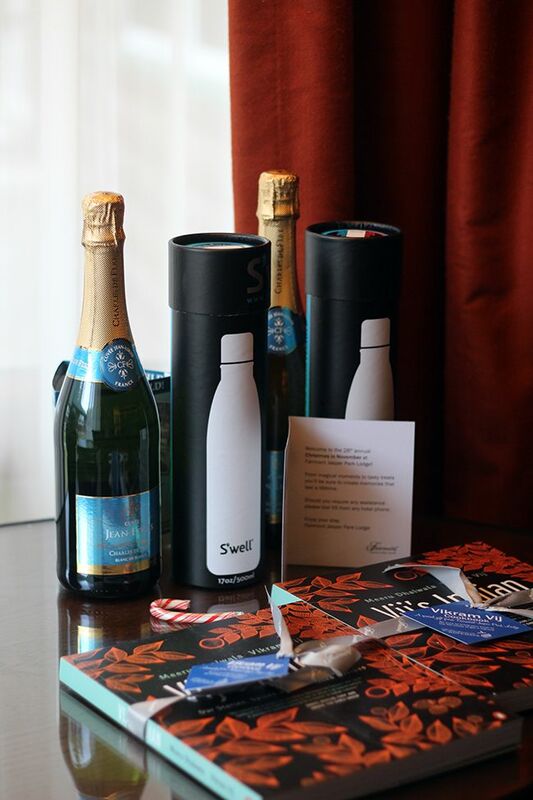 Complimentary wines and seasonal cocktails are served in the evenings as well. With so much food and drink around it's hard not to overdo it, but hey, you're on a vacation that celebrates all things food and drink! I really can't say enough good things about Christmas in November. It's a fun, all-inclusive getaway buzzing with Christmas energy to get you geared up for the holiday season. You really can't help but spread Christmas joy when you're surrounded by the festive food and decor! Gordon and I have been fortunate enough to attend as Gastropost ambassadors for the last two years and Christmas in November is an event we look forward to and talk about often. It's an event that everyone should experience at least once in their lifetime, so we hope to see you there next year! For full recipes and recaps from this year's installment of Christmas in November, visit the Gastropost website here! *Disclosure: I was asked to represent Gastropost Edmonton at Christmas in November. Views expressed in this post are solely mine. This post is 100% my opinion, and as always, my priority is to you, the reader, to present an unbiased, thorough review. Do you ever have those days when you come home from work and you're just too tired to even think about prepping dinner? Yeah, I have those too. I'm thankful for the evenings that my boyfriend cooks dinner for us and has it ready when I come home, but there's also those days where we both aren't home until late and we just don't have the energy. While it would be amazing to have a personal chef cook for us on those days, that just isn't attainable. But there's an alternative that's almost as good. 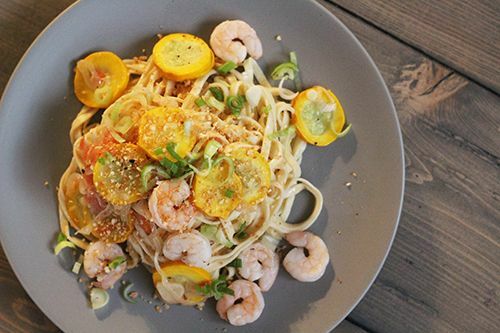 Say hello to Chefs Plate, a Toronto-based company that recently made it's way to Alberta. Each week there are a handful of recipes that cater to a variety of diets with land, sea, and veggie options. The dishes are globally-inspired, balanced, nutritious, and feature locally sourced farm fresh ingredients. 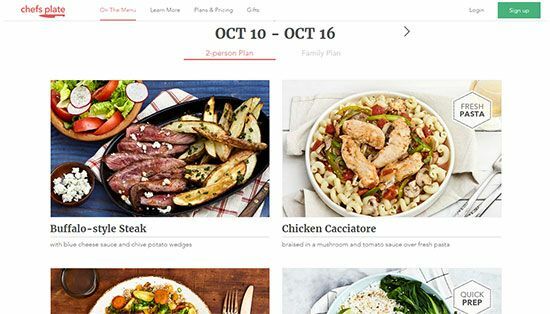 Chefs Plate operates as a weekly subscription service that can accommodate meals for two or families of four. Delivery is available Monday thru Friday and you can manage your deliveries easily through their website. 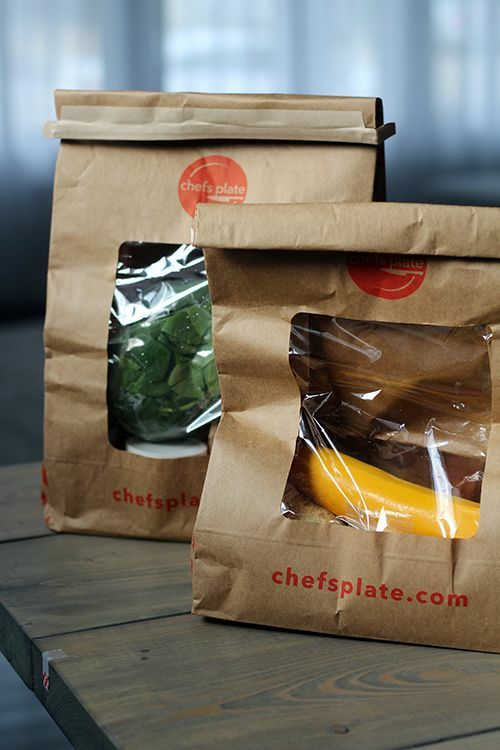 What's even better is that you don't need to be home for delivery - ingredients are sent using insulated, refrigerated boxes, and all packaging is 100% recyclable. Pricing is dependent on the number of recipes you require each week. Chefs Plate set me up with a trial of two meals from their 2-person plan, so I went with the Shrimp Linguine and Korean Steak Stir Fry. The ingredients arrived at my door while I was at work, but the insulated, refrigerated box kept everything cool as it waited for me at my front door. 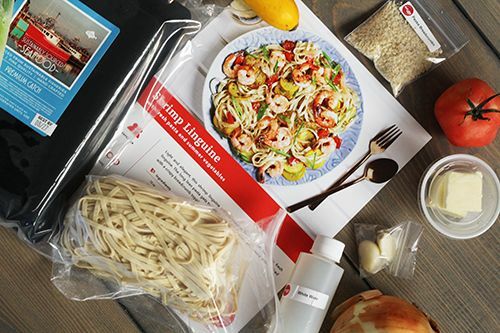 The contents of the box were separated by recipe, and each included a card with step by step instructions illustrated with photos. Cooking the meals couldn't be easier. With some washing and chopping, we spent about 30 minutes per recipe and enjoyed the results. 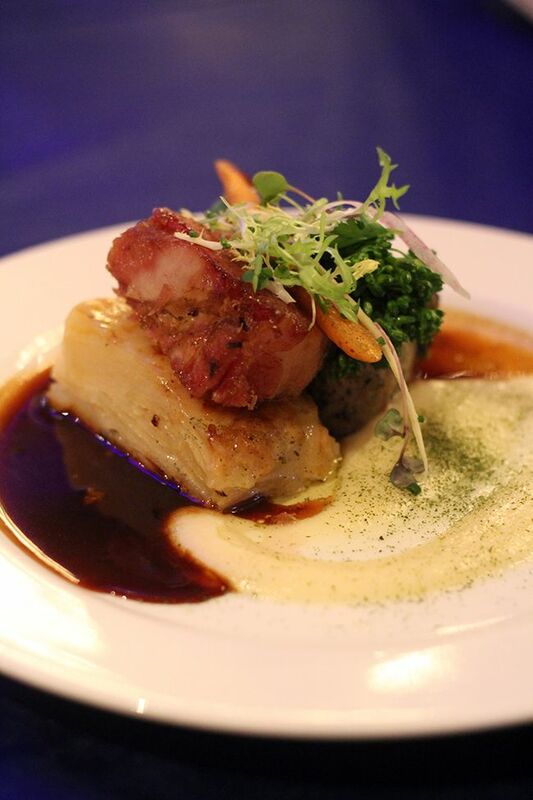 The ingredients were very fresh and we appreciated that the proteins were locally sourced and Oceanwise certified! The only thing I wasn't a huge fan of was the amount of packaging, but all of it was recyclable which made me feel a little less guilty. 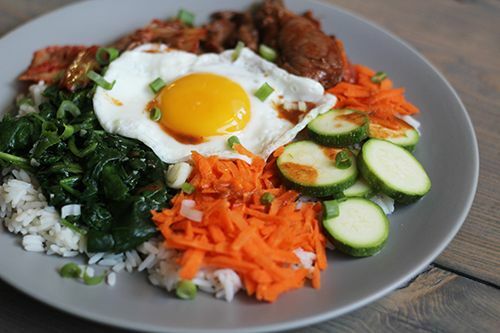 Two meals from the 2-person plan comes out to the price of $50 per week, which is a bit on the pricy side, but you're paying for pre-portioned quality ingredients that are locally sourced and delivered right to your doorstep. We found that each recipe gave us more than enough for two people (roughly 3 portions), so being able to pull an extra portion out of your ingredients can also be considered when it comes to the price. I appreciated that each recipe listed the amount of ingredients so we could recreate the dish in the future. Another great feature was the nutritional information thlisted with each dish, which is great for those who are health conscious. While we won't be ordering from Chefs Plate on a weekly basis, I'll be keeping them in mind because I think this would be awesome for having a date night at home! Are you curious and want to give Chefs Plate a try? 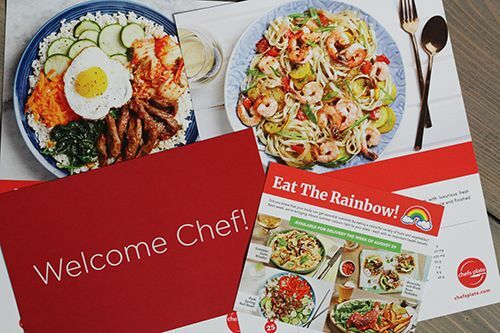 Chefs Plate has offered to give one of my readers a free trial of Chefs Plate with two meals from their 2-person plan - details listed below! If you can't wait and want to try them out right away, use my referral tag #LITTLEMISSANDREA for 3 free plate credits with your first order. Have fun and enjoy! To Enter: Visit the Chefs Plate website and tell me which dish you would like to cook! This giveaway is open to anyone 18+ years of age in Western Canada. You have until November 20th to enter and the winner will be selected by random and be contacted via email. Good luck!